George Carlin has a famous routine on seven dirty words you can’t say. I think he missed one. There’s an eighth dirty word — “just”. Raise your hand if the following tale is familiar. You’re in the office talking to a co-worker. You’re trying to solve a really hard problem. You both know the system inside and out. An hour later another co-worker overhears part of the conversation. After a full half-second of consideration they interrupt and say “Can you just…”. The answer is no. No you cannot just. Because of a complicated edge case. No. That conflicts with requirements you don’t know about. No. We had that idea three hours ago. The answer is almost always no. No you cannot just. Furthermore, asking “can you just” is insulting. It’s not intended to be an insult. It’s not meant to be condescending. But it is. Your co-workers are smart. If they’re spending a lot of time thinking about a problem then it’s a hard problem. One with complexity and nuance. When your first reaction is to interrupt with “can you just” you’re implicitly calling your co-workers stupid. Because if they weren’t stupid then they’d have figured out the solution in under a second like you did. The fix here is simple — respect. Assume your co-workers are smart and capable. Treat them that way. We live in a collaborative world. Ideas should be shared. Please do offer suggestions! But when dealing with a different project or a domain outside your area of expertise show a little extra humility. Everyone will be happier when the answer is inevitably no. Instead of a loud, proud “can you just” consider a deferential tone. Acknowledge you don’t know the constraints and need to catch up. After a few questions you may be able to contribute. Or the act of explaining may result in a revelation. 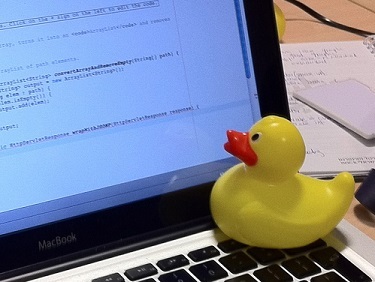 Rubber duck debugging is real. 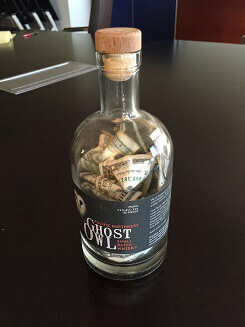 Some offices have a Swear Jar. Every time someone swears they put a dollar in the jar. At my company we have a Just Jar. When someone says “just” they owe a dollar. This jar is placed in the middle of the table during engineering meetings. I can’t possibly recommend this enough. Having a Just Jar is delightful and legitimately useful. It’s easy to shout the first thing that comes to mind. Meetings can spiral into multiple people talking over each other with “can you just”, “what if you just”, “then just”. The Just Jar forces you to pause. The answer isn’t just. Pausing gives you time to think before you speak. Which is often enough time to realize why it won’t work. The Just Jar is also darned good fun! Sometimes you know you’ll owe a dollar but you say it anyways. I’ve been known to pull out a dollar with a shameful, sly grin before I start to talk. Everyone has a good laugh. The answer to “can you just” is no. No you cannot just. Well, it’s probably no. On rare occasion it’s yes! Different perspectives are of enormous benefit. Especially when someone is stuck with tunnel vision. Because it’s sometimes yes it’s important that people aren’t afraid to speak up. Ideas need to be shared. The Just Jar must not cause fear. Your co-workers are smart and capable. The answer to “can you just” is almost always no. Interrupting conversations to say “can you just” is rude and insulting. Don’t do that. Pause for a moment when you find yourself wanting to say “just”. Consider why the answer is no. If you aren’t sure then ask. Show respect and you’ll receive respect. 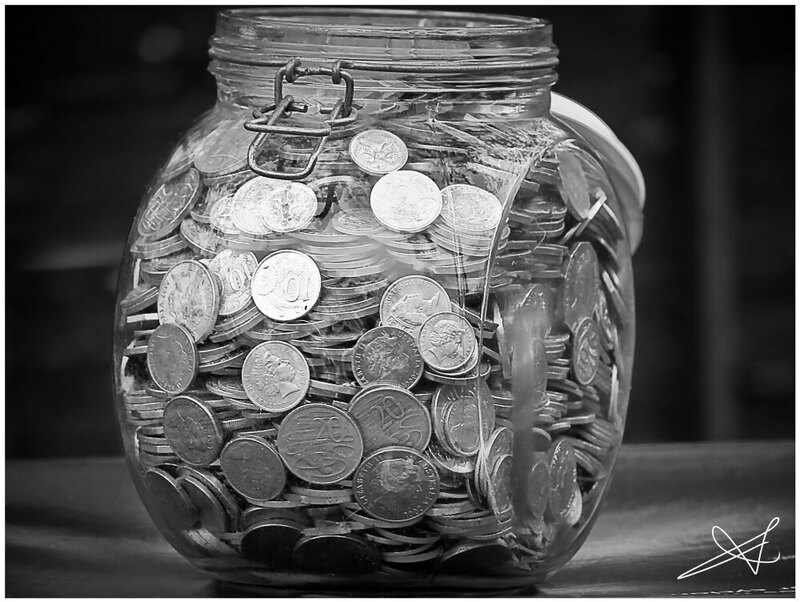 Start a Just Jar. People will think before they speak. Plus it’s a lot of fun. Over time our Just Jar evolved a few bonus rules during engineer meetings.